Today, she shares her experiences and thoughts with others through weekly newspaper column, books and CDs, and speaking engagements to a wide range of audiences. Susan’s personal stories range from tales of chicken raising to tractor troubles, from child-rearing to hoeing weeds, from flat tires to flaming combines, and from working in a nursing home to starting college late in life. Audiences identify with Susan’s humor, hard work, and determination in overcoming every obstacle to live a creative and fulfilling life. 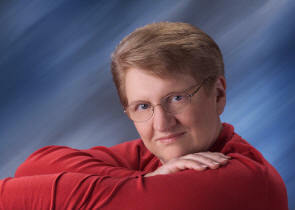 Susan Marie Manzke uses wit, wisdom and imagination to write, to speak, and to survive life with four children and her farmer husband. Once a shy child, she overcame her quiet ways to find another person hidden inside, a crazy lady who delights in making people laugh.